“Made in Italy Gourmet”, a new gastronomic concept will open its doors in Miami’s trendy Wynwood neighborhood on Friday, January 23rd. “We wanted to create a trademark gastronomic experience that aligns with the way we were raised to appreciate food and wine in Italy, where Italians can feel at home and newcomers can get a taste of Italy" said Owner/partner, Pietro Morelli. “Made in Italy Gourmet”, a new gastronomic concept will open its doors in Miami’s trendy Wynwood neighborhood on Friday, January 23rd. 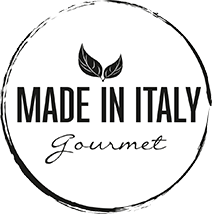 “Made in Italy Gourmet” marketplace is located at 10 NE 27th Street and is open for lunch and dinner as well as the gourmet store, Monday to Saturday from 10 to 8 pm. Made in Italy Gourmet is poised to be city’s ultimate destination for food lovers to shop, taste and savor the best of what Italy has to offer in Miami. Spanning more than 3,500 square feet, Made in Italy Gourmet has a guest capacity of about 150 people. The new concept will include a premier retail center for Italian delicacies and wine, a culinary educational center, a wine bar, chef’s table and more to come. This gourmand’s delight will feature Italian wines, cured meats and cheeses, fruits and vegetables, handmade pasta, wine and coffee. Made in Italy Gourmet – at its essence – embodies the philosophy and commitment of artisanal products that represent the finest Italian quality. “We wanted to create a trademark gastronomic experience that aligns with the way we were raised to appreciate food and wine in Italy, place where Italian community can feel at home and newcomers can get a taste of Italy from the finest products not found in any other store.” said Pietro Morelli, owner/partner. Entering the space will feel as if you stepped into a Tuscan kitchen to have dinner with newfound friends, where the only common language is food and a carefully selected bottle of wine. The energetic bar creates a buzz throughout the restaurant and sets the stage for an exciting dining experience. Morelli and his partner, Francesco Belcaro, have long dreamed of creating their own interpretation of those experiences and are thrilled to execute a rustic, approachable model for lunch, happy hour and dinner here in Miami. Education will also be a defining focus of Made in Italy Gourmet. There will be events year-round with food and wine courses, demonstrations and lectures from renowned chefs, food and wine producers. Made in Italy Gourmet’s Beverage Director, NASA Italian specialist Sommelier Sergio Russo, will create an easy-to-navigate, 100% Italian wine list. He will also feature the full bar to include Italian-influenced cocktails, beers and an extensive list of classic Italian apéritifs and digestifs. In addition to dining in, delivery and takeout, Made in Italy Gourmet is available for private events and catering. For more information, please call 786-360-5671. Follow Made in Italy Gourmet’s happenings as they post frequent updates on their social media platforms including pictures of menu items, contests and daily happenings.